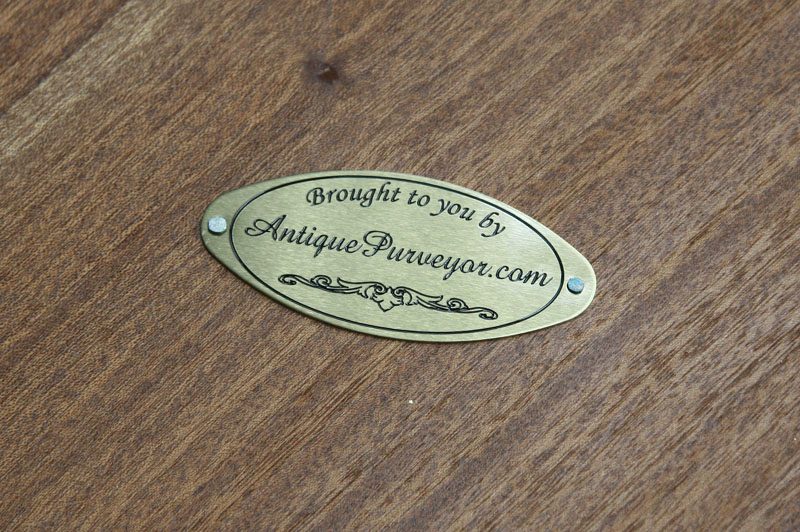 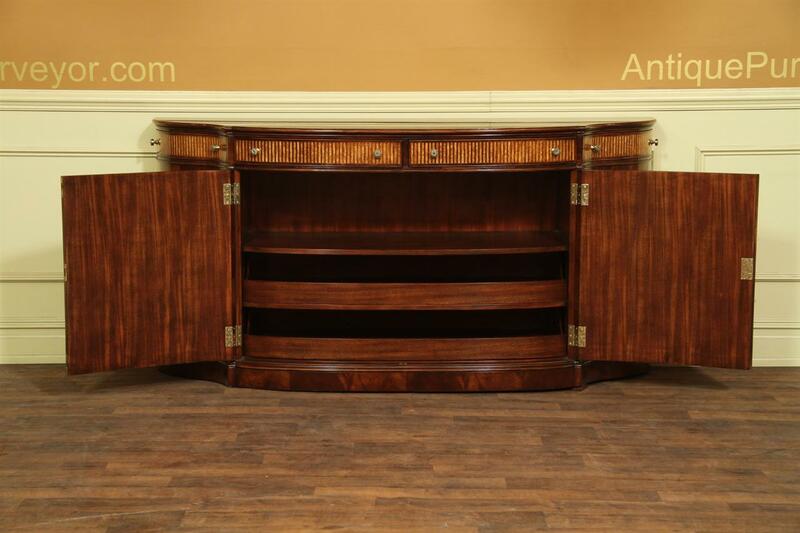 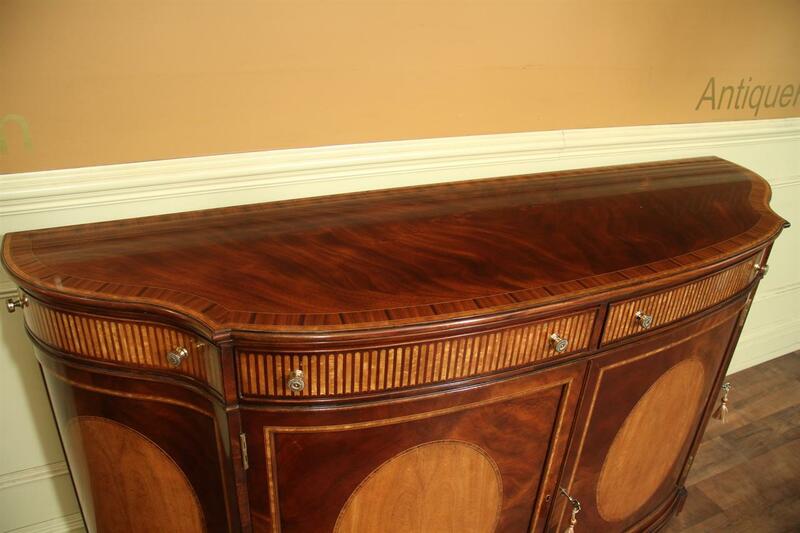 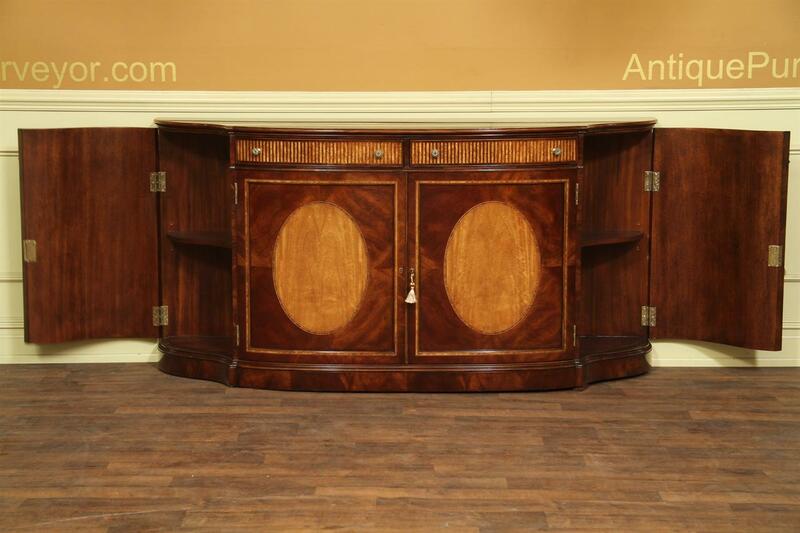 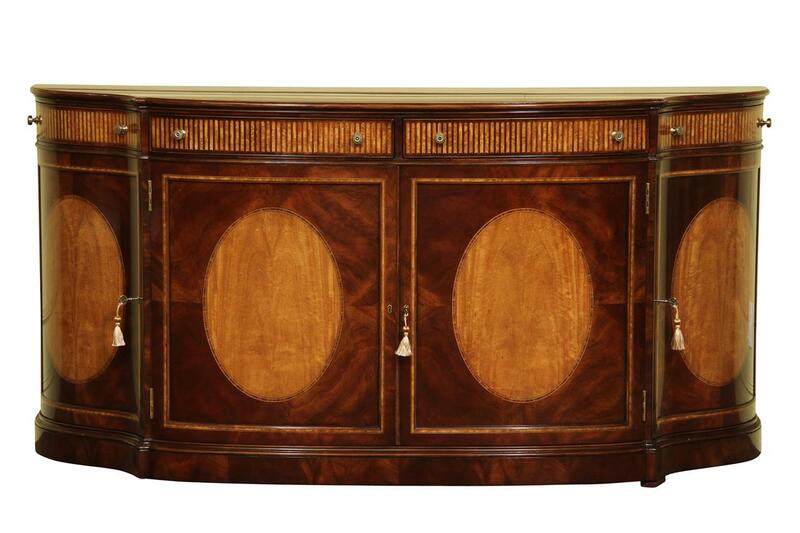 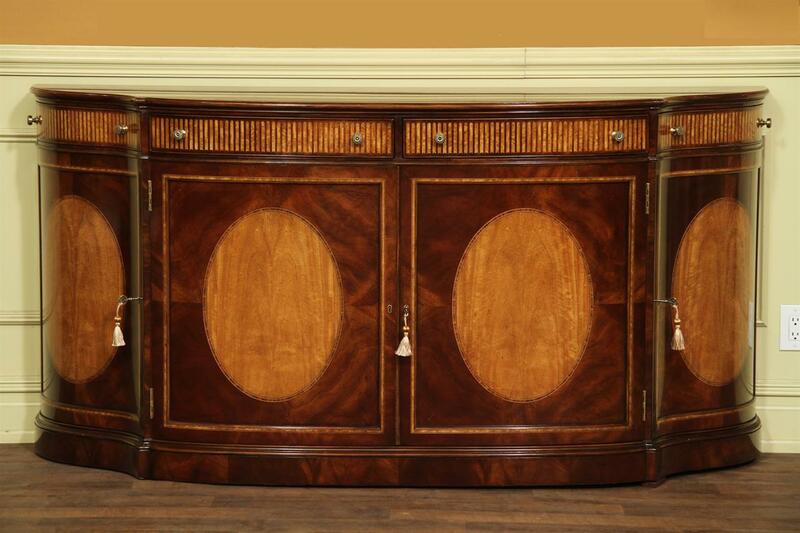 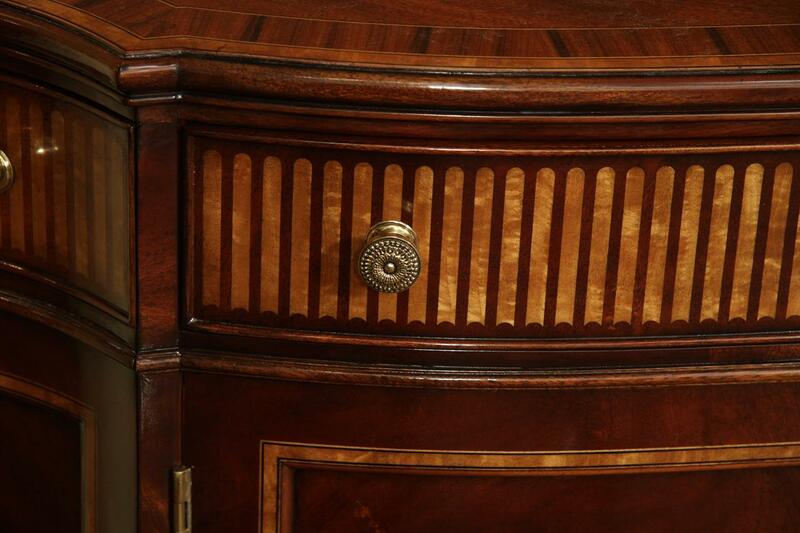 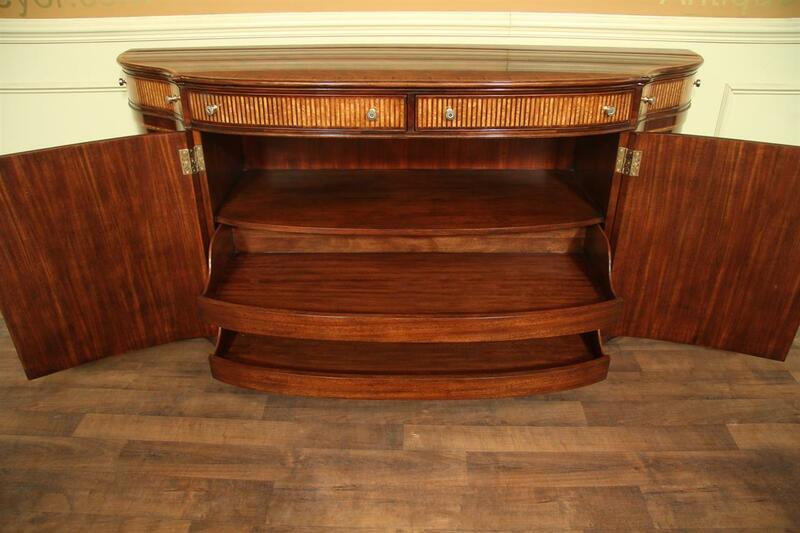 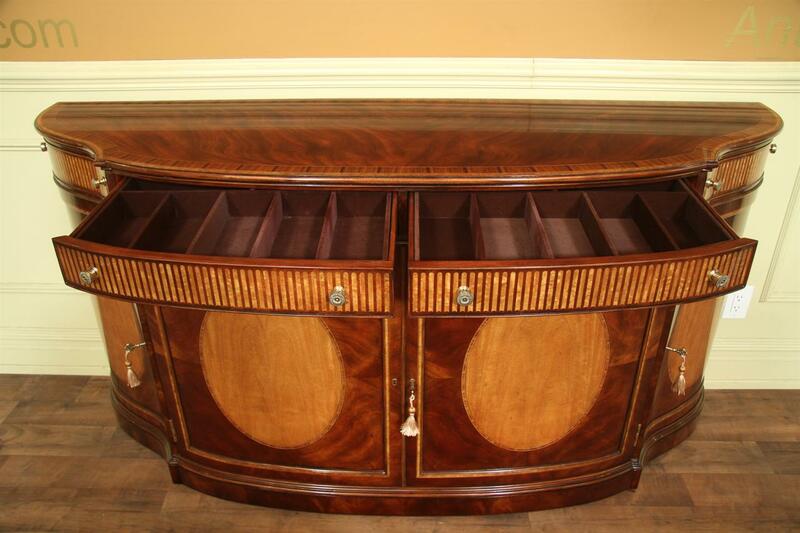 Description: Large 18th century style bowfront sideboard cabinet designed to store table leaves. 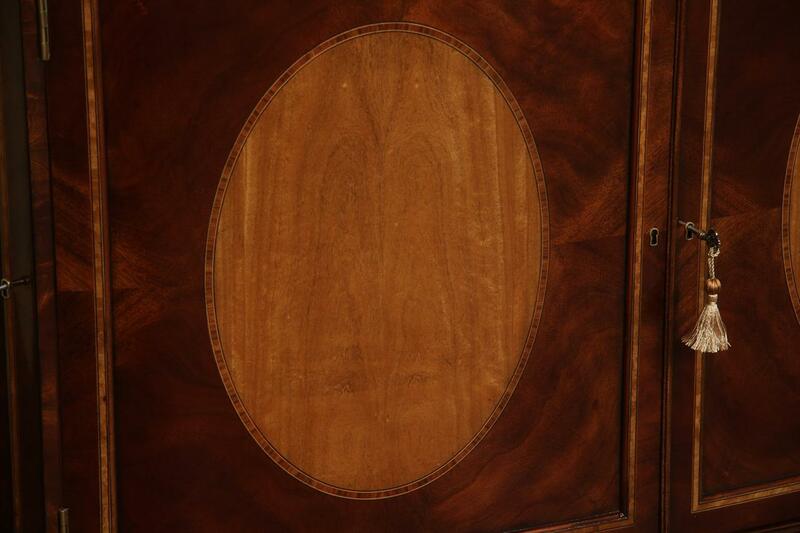 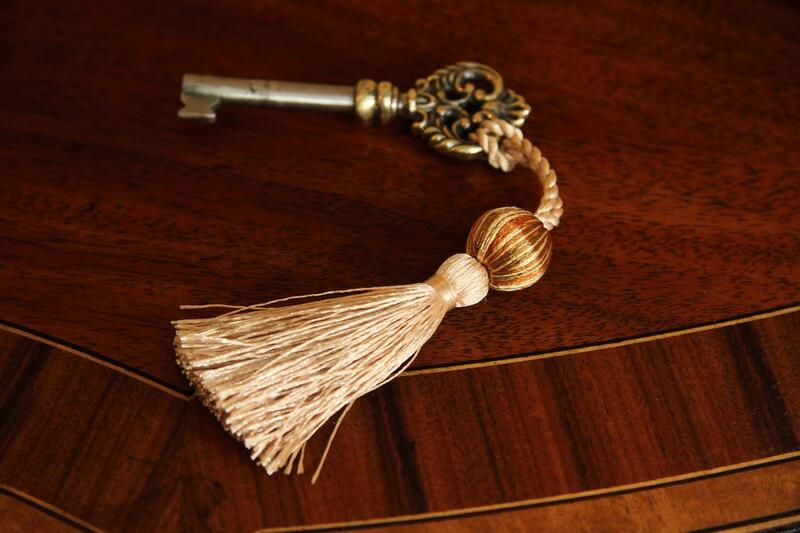 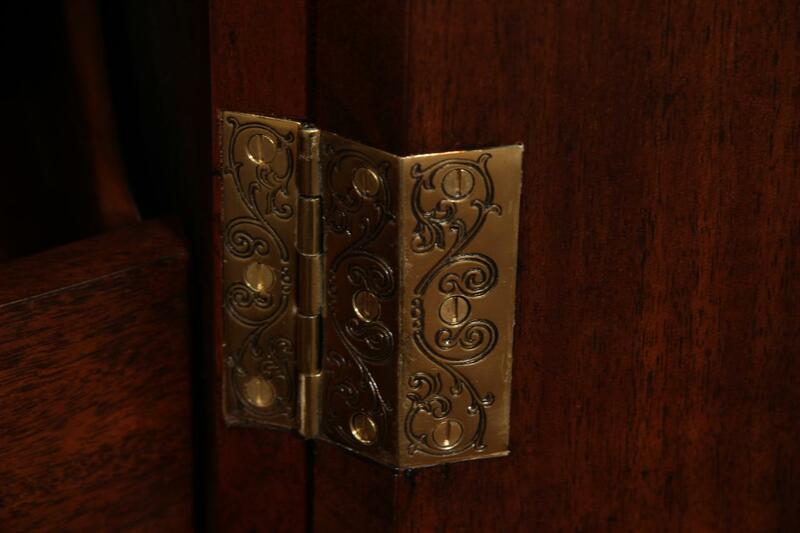 Satinwood inlaid door panels. 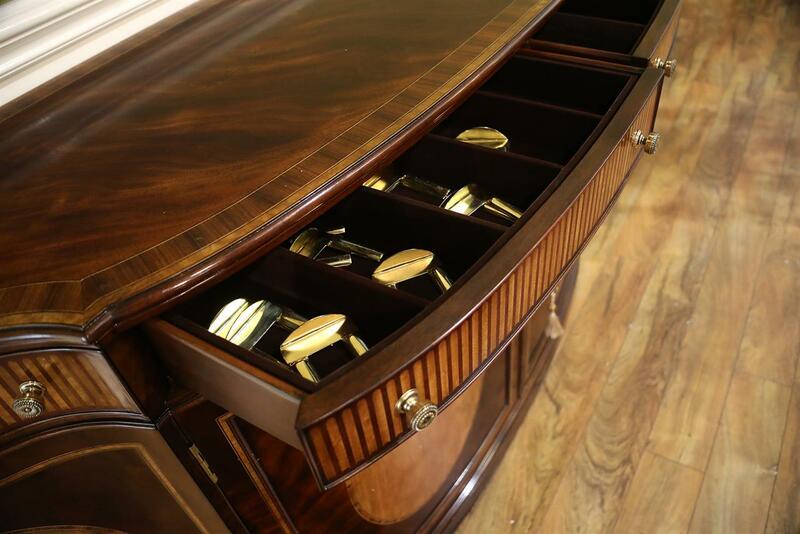 Felt lined silverware drawers and locking doors. 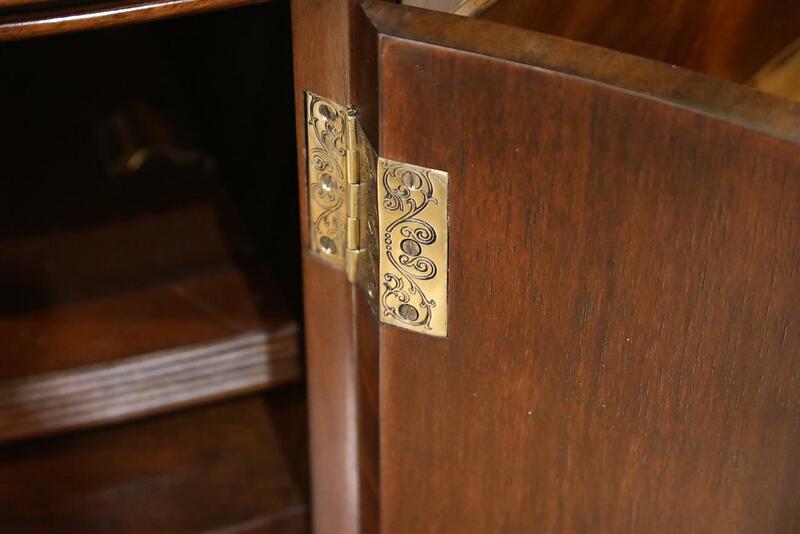 Bottom of cabinet has one shelf which was designed to hold perimeter style leaves. 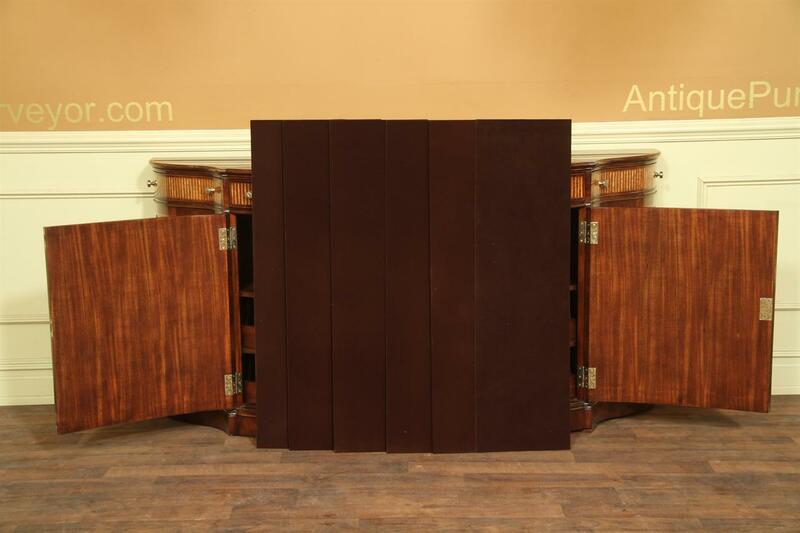 Please inquire if this leaf storage space would be adequate for your table extensions. 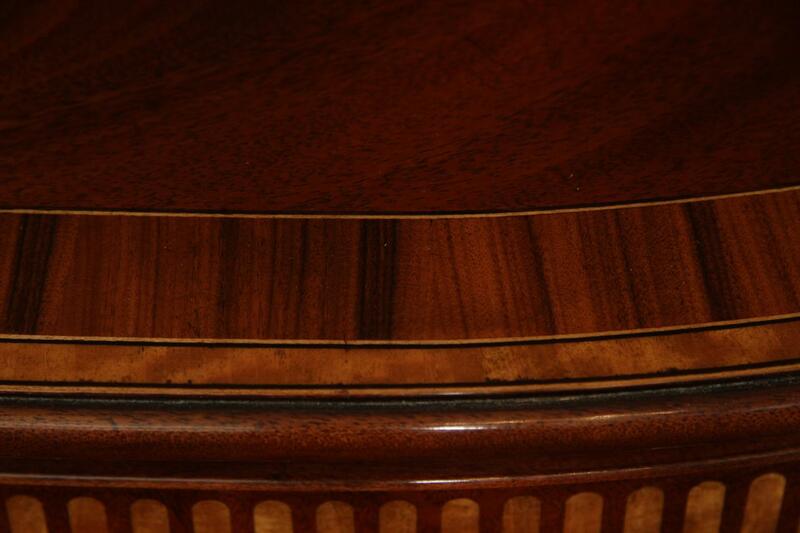 Rosewood, sycamore and ebony striping inlays. 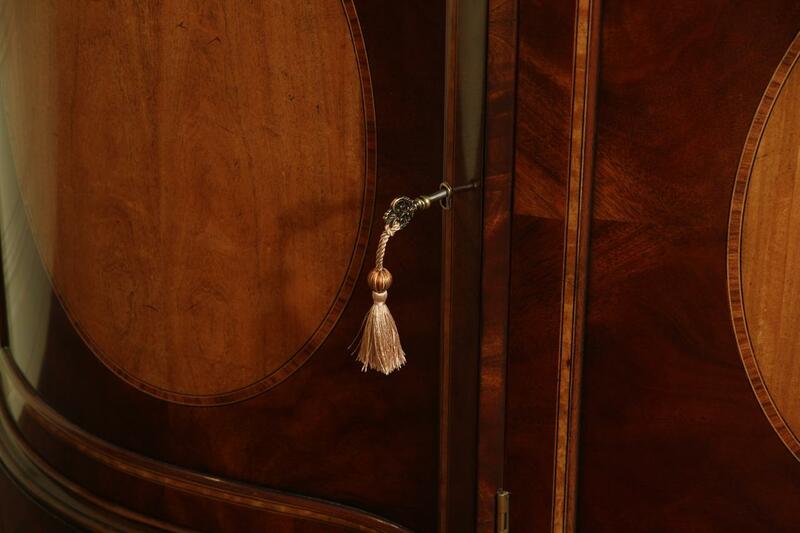 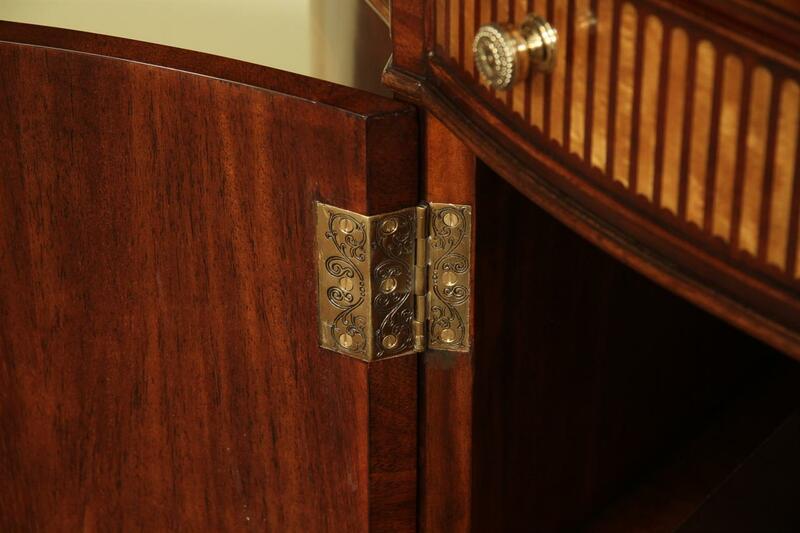 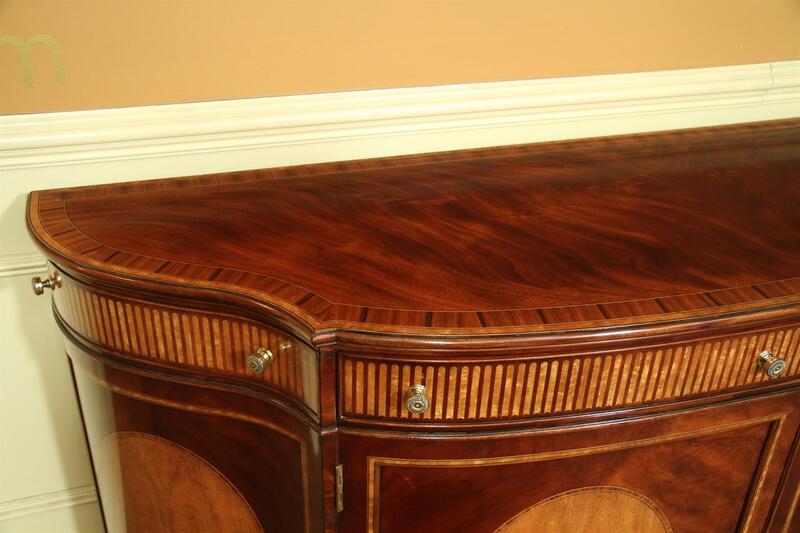 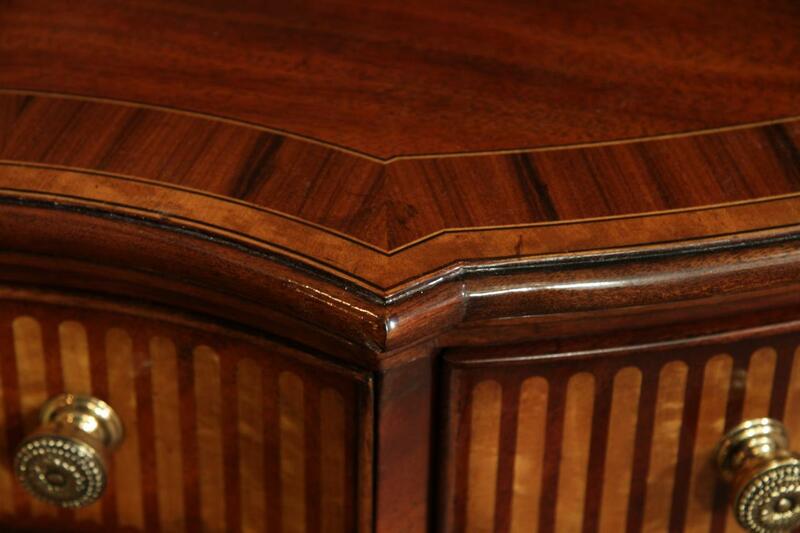 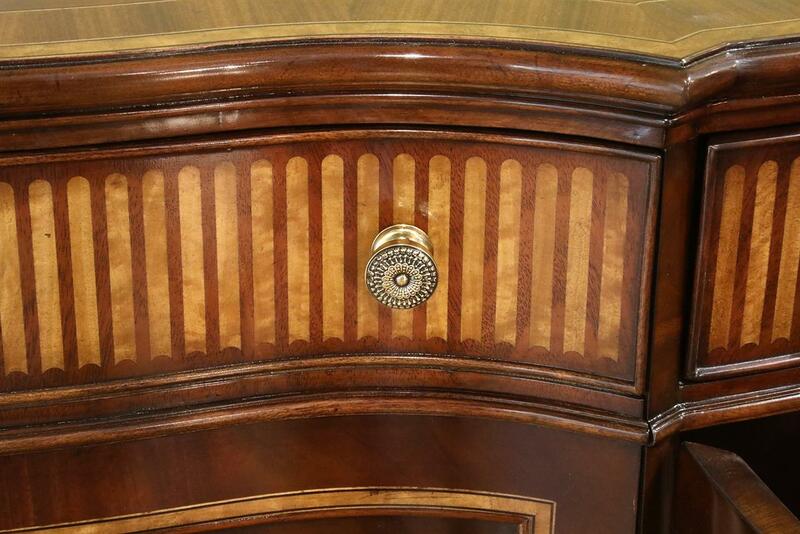 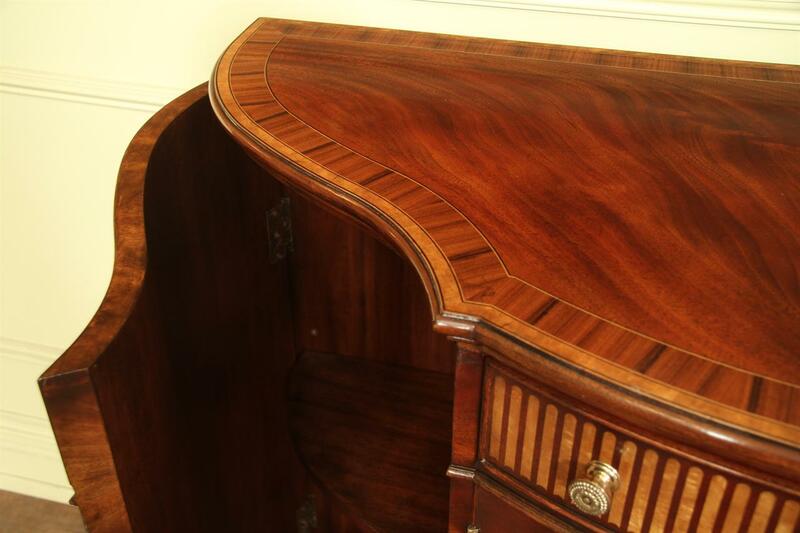 A fine inlaid cabinet for a high end dining room. 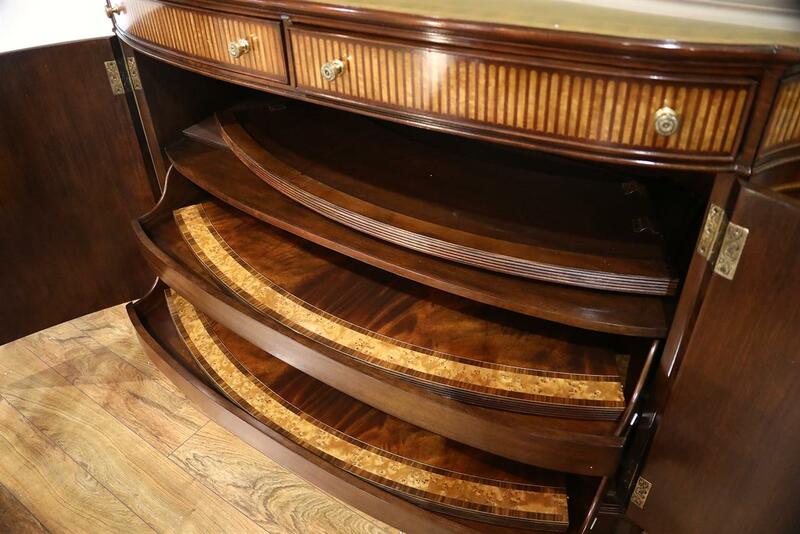 Heavy and dense cabinet.